1. It may be claimed that any evil disproves an all-good God. 2. Or it may be claimed that the amount of evil, the superfluity and needlessness and pointlessness of much evil, disproves God. 3. Or it may be claimed that the unjust distribution of evil disproves God—not that bad things happen, or even that so many bad things happen, but that they happen to good people just as much as to bad people. Since the first claim is the simplest and clearest (and in that sense the strongest), we will concentrate on it. But we also here briefly indicate the lines of a solution to the second and third claims. As to the second claim, that there is too much evil for a world controlled by a good God, a fair question is: How much evil would be too much? Would a Holocaust of six million disprove God but not a Holocaust of six thousand? Theologians in Boston are developing a new argument for atheism: the argument from the seventy-five-year-long failure of the Red Sox to win a world championship—a failure marked by the weirdest, almost supernatural “bad luck” in baseball history. One wonders, however, whether a world with just one Red Sox championship in seventy-five years would be compatible with a good God? Would it require two? Three? A second and more serious reply to the argument that there is too much evil in our world for there to be a God is: How do we know how much evil is too much? These objectors seem to assume implicitly that since they cannot understand why so much evil is permitted, it could not possibly be permitted by God; that is, they assume that only the evil which they can understand as necessary or justified is compatible with God. But if only such evil did exist, it would be strong evidence against God. For if there is a God, his wisdom must be infinitely superior to ours, and we will not understand all his ways. This is the only answer Job got, and Job was satisfied, for he was a good philosopher. This posture is not blind fideism but eminent reasonableness. Who are we, the players on the stage, to tell off the author of the play? How pitiful the sight of the pot trying to lecture the potter. We cannot explain the particular evils we see, but we can explain why we cannot explain them. The third form of the problem is the unjust distribution of evil. The sunlight and the plague fall on the just and the unjust alike. To this most mysterious aspect of evil we reply with two of the most mysterious doctrines in Christianity: original sin and vicarious atonement. Both doctrines are mysteries of solidarity, stemming from a time before modern individualism. Behind these two ideas is a vision of the human race as a single organism or body, with each of us an organ or cell; a tree with each of us a leaf. Recapturing this ancient vision is our main doorway to understanding these two ideas and how they explain the problem of evil. We still preserve a little of this old vision, unconsciously. Suppose you suddenly found out that Adolf Hitler was your grandfather. Wouldn’t you feel ashamed? But you did not collaborate in his atrocities. Yet you feel a family solidarity in sin. Or in virtue; if a family member becomes a hero, you feel proud, even though you are not a hero. But Hitler is your relative, only a little less close than your grandfather. So is Mother Teresa. Everyone on earth is literally related to everyone else. Original sin is not a doctrine as foreign to our real lives as we initially may think. When a pregnant mother takes drugs, her baby is born an addict. That is original sin: spiritual and moral heredity. To think of heredity as exclusively material and biological is to assume an unreal dualism, as if we were soul-ghosts in body-machines. This same dualism leads us to interpret the biblical principle that the sins of the fathers are visited on the children to the third and fourth generations (Ex 20:5; 34:6–7; Num 14:18; Deut 5:9) as a purely spiritual principle. But it means something more simple and obvious: that when three or four generations live together, the great-grandfather’s sins will affect his great-grandchildren. Even with nuclear families, if your father was abused as a child, it will be harder for him not to abuse you, and harder for you not to abuse your children. There is nothing ethereal about original sin. The only two ways God could have avoided having the human race fall into this sin, which becomes hereditary and innate, would be (1) not to give us free will in the first place, that is, to create animals, not humans; or (2) to create us like angels: radically individual, not in a family, not in a hereditary oneness. The very best things in life come to us through our families, but so do the very worst. The other Christian doctrine that addresses the problem of the unjust distribution of evil is the doctrine of vicarious atonement. Just as there is a solidarity in sin throughout the human race, there is also a solidarity in redemption. Just as the sins of the guilty can harm the innocent, so the sufferings and virtue of the innocent can help redeem the guilty. It is these two central mysteries of solidarity that Ivan Karamazov rebels against in Dostoyevsky’s great novel The Brothers Karamazov. Ivan’s atheism is the deepest kind. He does not reject God as such, but he rejects God’s world. It is a world run by a divine justice that is too mysterious for his rationalistic mind; a world in which bad things happen to good people and good things happen to bad people. Ivan’s brother is found guilty of a murder he did not commit but accepts his suffering anyway, while Ivan is not punished for a murder he was responsible for, and he cannot accept this. But the two mysteries of original sin and vicarious atonement cannot be explored or explained adequately here. We have only indicated or hinted at a solution through them. We see them more deeply and truly in concrete stories than in abstract concepts; in novels more than philosophy. We suggest Dostoyevsky’s The Brothers Karamazov, Charles Williams’s Descent into Hell, C. S. Lewis’s Till We Have Faces, J. R. R. Tolkien’s The Lord of the Rings and George Bernanos’s Diary of a Country Priest. Kreeft, P., & Tacelli, R. K. (1994). Handbook of Christian apologetics: hundreds of answers to crucial questions (pp. 123–125). Downers Grove, IL: InterVarsity Press. 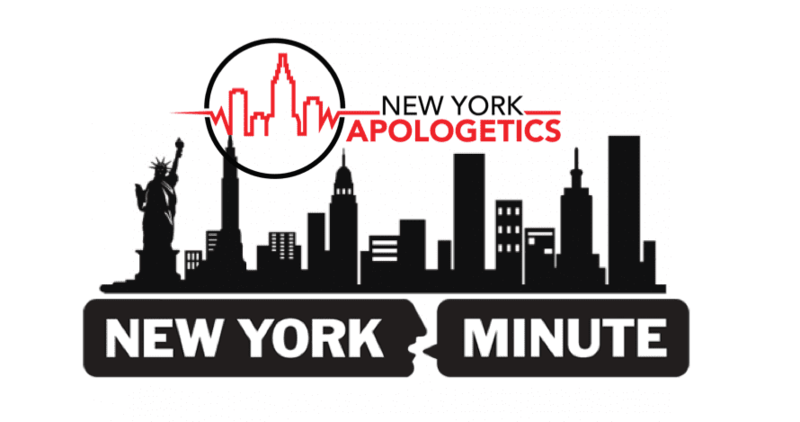 Anthony Uvenio is one of the directors of New York Apologetics who also does presentations at college campuses, high schools, and churches. He serves in his local church and seeks to equip people to engage the culture with the truth claims of Christianity. You can watch his debate with an atheist here DEBATE.